There is a kernel of truth to every generality. State representatives are indeed appropriately sensitive to the political realities surrounding negotiation and settlement. However, truth be told, states the world over are, in fact, readily entering into negotiated settlements for differences and disputes with investors. Moreover, negotiated settlements are being reached not only for little disputes but also for very large ones. For instance, Enel Green Power S.p.A. and the Republic of El Salvador negotiated a resolution to their eight year dispute over control of LaGeo, a geothermal power producing joint venture undertaken between the global Italian power company and the state-owned company, Inversiones Energéticas S.A. (INE) and its parent Comisión Ejecutiva Hidroeléctrica del Río Lempa (CEL). Stymied by the government shareholders in its 2008 attempt to gain control of LaGeo through a USD 127 million capital increase (from 36.2% to 53%), Enel won before the International Chamber of Commerce (ICC)’s Court of Arbitration in 2011 (with the award being upheld by the Paris Court of Appeals in 2013). When El Salvador failed to comply, Enel initiated proceedings before the International Centre for Settlement of Investment Disputes (ICSID), the investor-state dispute resolution branch of the World Bank Group. Rather than conclude matters there, the parties suspended proceedings to parley separately, subsequently agreeing on turning full control of LaGeo over to El Salvador for a pay-out of USD 280 million. The Enel affair is an anecdotal but excellent example demonstrating the place for negotiated outcomes and mediation in investment disputes, where freeing oneself to ‘start a new chapter’ can be far more desirable than the hope of full financial remediation and the near-certainty of protracted, expensive adversarial proceedings. The benefits of mediation are also well established in the commercial sector. Whether it be maintaining long-term, strategic relationships, or moving through one-off insurance claims, mediation has frequently proven its value in providing speedy, inexpensive settlements with outcomes driven by party needs and priorities. In the investor-state context, the confidentiality, procedural flexibility and range of outcome choices makes mediation even more attractive, as does the possibility of using mediation in tandem with the existing arbitration structure, notably during treaty-imposed ‘cooling-off’ periods. Additionally, as a less adversarial means of dispute resolution, mediation might alleviate certain concerns of investors – especially foreign ones -, who might otherwise be reticent to sue the government. Where energized negotiation is pursued, skilled mediators take on increased importance. However, notwithstanding the growing place for mediation and the emergence of a cadre of investor-state arbitrators, very little guidance exists for the training and selection of investor-state mediators. With an eye to remedying this deficiency, the International Mediation Institute (IMI) has long provided guidance to investors, states and others seeking to appoint competent and suitable mediators. IMI transcends local jurisdictions to develop global, professional standards for experienced mediators, advocates and others involved in collaborative dispute resolution and negotiation processes. Aiming to promote a better, less adversarial access to justice, IMI programs and standards facilitate consistent, credible and ultimately more satisfactory outcomes to those who desire it most: the parties. 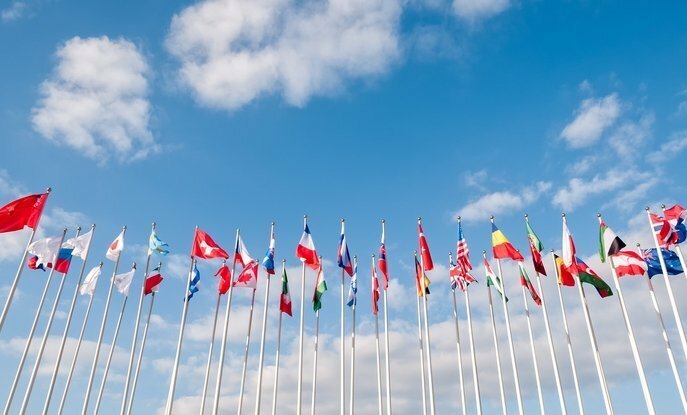 In addition to its mission and work up to this point, IMI’s previous efforts in developing cross-cultural competency standards for mediators and competency standards for mediation advocates/advisors positions it well to address the matter of investor-state mediation criteria. The IMI Investor-State Mediation Taskforce has created a holistic set of Competency Criteria for Investor-State Mediators that is true to the creativity and hybridity of mediation. Recognising that investment disputes are particular in their nature, and that mediation is as much of an art as a science, the Criteria seek to lay out a series of areas in which the ideal investor-state mediator would be competent. Those areas are (1) understanding of investor-state issues, (2) experience in mediation and other dispute resolution processes, (3) experience with different forms of negotiation, mediation and conciliation, (4) understanding of arbitration and adjudication processes, (5) intercultural competency and (6) other competencies, which include a familiarity with various tools and technologies as well as knowledge of the particular industry. While these competencies would ideally be cumulative, a give-and-take – and not a check-box – approach ought to be applied, as, firstly, so few will meet all of these competencies, and, secondly, novelty is part of mediation’s value and vitality. The Criteria seek to balance private and public sector interests. The uniqueness of investor-state disputes – with their nuanced difficulties surrounding matters of state representation and ratification, as well as the need for both enabling and controlling communications – is key contextualisation. Additionally, the Criteria leave space for parties to decide on how their often-varying needs as to experience and expertise might be best accommodated, suggesting, for instance, the use of co-mediation and/or expert participation where appropriate. The IMI Taskforce developing the Criteria gathered 29 recognised experts from diverse commercial, governmental, legal, academic and international organizations from around the world. With Anna Joubin-Bret of Cabinet Joubin-Bret and Barton Legum of Dentons at the helm as the initial Co-chairs and principal drafters, the Taskforce submitted its response to European Commission consultation on Modalities for Investment Protection and Investor-State Dispute Settlement (ISDS) in Transatlantic Trade and Investment Partnership (TTIP) in July 2014. Thereafter, and following a lengthy consultation period, that response was honed and, under the guidance of Mark Appel of ArbDB Chambers, developed into the present Criteria, which were completed in September 2016. Throughout the process, Conrad Daly of the World Bank served as IMI Taskforce Secretary. Although the Criteria have been prepared and presented, the work goes on. The Taskforce will now turn to piloting the Criteria with interested organisations, and, thereafter, revisiting the Criteria within the year. By way of example, IMI representatives have already begun high-level discussions with ICSID and the Energy Charter Secretariat to run a pilot IS Mediator course using the IMI Criteria in June of 2017. The choice to reassess the matter comes from market uncertainty: mediators may come – indeed, ought and are encouraged to come – from a variety of backgrounds, including non-juridic ones. Moreover, the market space is, as yet, largely unknown and undeveloped: that is, there is no community in place – yet. Written by Mark Appel and Conrad C. Daly. Mark Appel is an independent, international Arbitrator, Mediator, Consultant and Trainer. Mr. Appel has nearly 40 years of global arbitration and mediation experience, having served in both executive and senior executive positions at the American Arbitration Association (AAA) and International Centre for Dispute Resolution (ICDR), leaving ICDR/AAA as Senior Vice President, EMEA in December of 2015. Conrad C. Daly is Consultant at the World Bank and counsel at GRC Counsel LLP. His work has been of a diverse nature, including justice reform, governance and anti-corruption, cybercrime, the right to education, and facilitating UN agencies engagement in World Bank-financed operations, as well as arbitration and mediation counselling.